So were you wondering if there's anything to do on an island covered in rice paddies and tropical jungle? Or did you just want to sit in the sun and drink beer? Well, some people do. Then the rest of us get out and experience the real Bali. If you like the outdoors, there is certainly no shortage of activities on Bali. For divers we have over 952 species of sea life and 393 coral species. You can scuba-dive or snorkel all around Bali or its baby islands Nusa Lembongan and Nusa Penida. Surfers do not need to be told that Bali has some of the most awesome waves in the world. Just ask the ASP why they are having Phase 5 of their World Championships here. 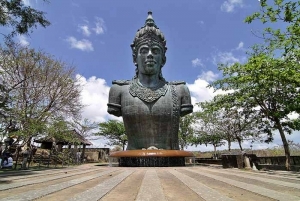 In the centre of the island one can go white-water rafting, canyoning, motor- or pedal bike riding, or offroading in various types of vehicles.Families will love Bali Zoo or Safari Park, Taro Elephant Park, Bali Bird Park and more. Botanists, come and see the spectacular collections of orchids and 111 other indigenous plants. Twitchers, come catch some birds in your binocs. Want to go riding? Horse or elephant?Sailors will have a grand time, either at the Royal Bali Yacht Club, or on a schooner bound for the islands east of here. Of course you can also fly there - by charter seaplane or helicopter. Sky's the limit.